​The uniqueness of the LIKER is its material that allows to combine the best properties of toys for dogs of different materials (rubber, plastic, nylon and cotton). Many people struggle combining a busy life with providing their dog with sufficient physical and mental stimulation. As a result dogs get bored and become destructive, they might get anxious or become reactive. A good fun work-out with a LIKER ball will help prevent this. LIKER is lightweight and maneuverable. It is easy to throw the ball. When you throw the ball far due to its unique shape may slightly change the flight path, adding excitement to the game. It cannot break the window or knock down an object, in contrast to the heavy tennis ball. Games on the water now become interesting. LIKER does not sink and it is almost entirely above the water surface. Especially good to use the ball if your dog does not like or can not swim. With LIKER your dog will easily learn to swim. The unique LIKER material is non-toxic, and while biting it does not hurt teeth and gums of the dog. The ball can not hurt as though the material is elastic, but soft. LIKER is even useful. Dog`s teeth while getting inside the material is getting clean. Dirty ball is easily washed. On this material dirt is not delayed, and thus the bacteria do not fall into the jaws of the dog. LIKER is very difficult to lose! It will not sink into the snow or water, will be seen in the grass. LIKER color is seen even in the most overcast day. 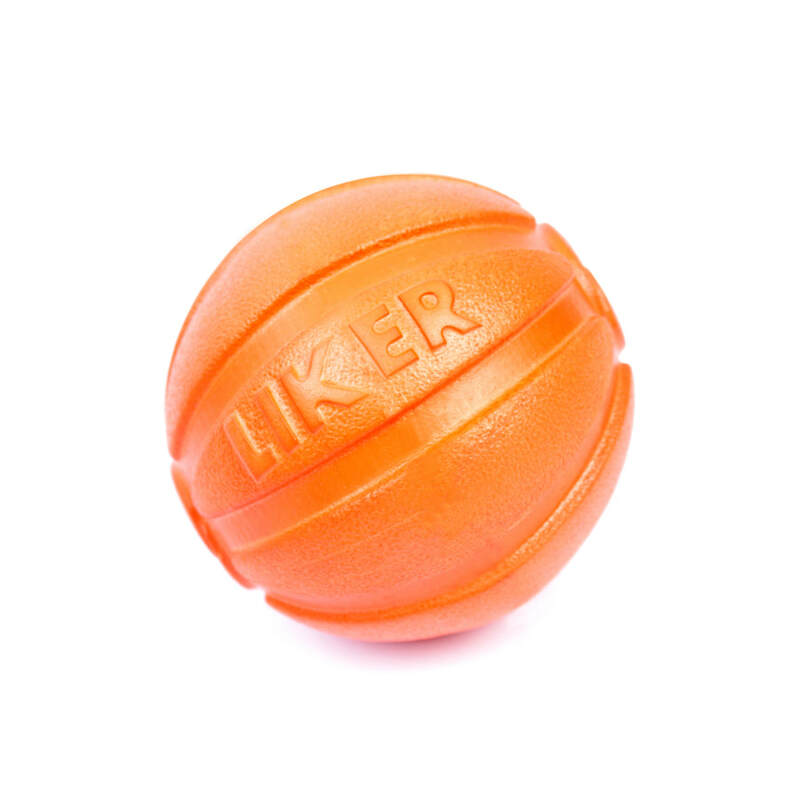 LIKER - not just a ball! This is a toy that you and your pet would like and even love!